If you care about privacy and anonymity and use VPN you should also learn about DNS leak. What is DNS leak and how you can prevent it? 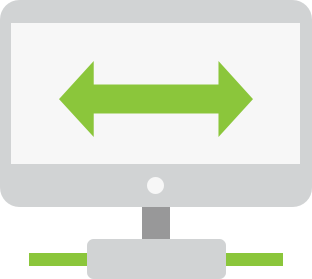 As you may know, VPN connection creates a special – virtual – tunnel between devices. In case of service like ours this encrypted tunnel is created between you and our VPN server. Because of that, all data from you and to you are invisible to any “man in the middle” – if there would be some third party trying to spy on you – and also not visible to your ISP. Because VPN has to prevent others from knowing anything about the connection and data exchange through it, it also uses different DNS server than the default one offered by your ISP. Under certain conditions, even though your device has active VPN connection operating system will still use original, default DNS server assigned to you main internet connection. When that happens, your ISP or anyone who monitors your Internet traffic and connections will know and will be able to log your online activity. There is no easy way for you to prevent DNS leak on your own. Best, is to use VPN software with built in safety feature, that prevents DNS leak from happening. Our software was created with such feature. If you wish to use VPN in full comfort and anonymity use our software. 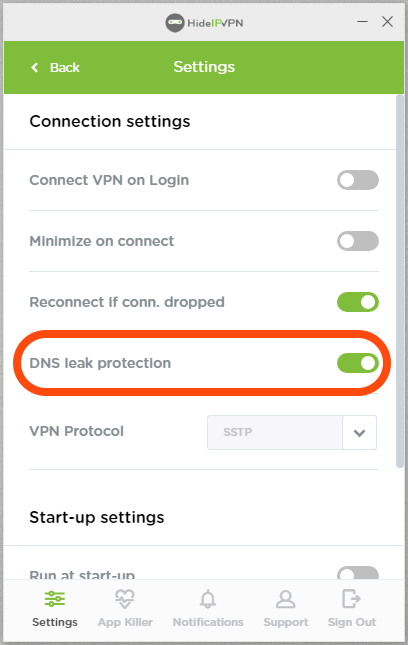 Set DNS Leak protection to ON, choose VPN server you wish to connect to and surf the web anonymously! We hope this short article is an answer to your question – what is DNS Leak?